Based in the poet's birthplace and home of 23 years, 5 Cwmdonkin Drive in the Uplands of Swansea, the main aim of the Society is to foster serious interest in the life and works of Dylan Thomas and actively engage with schools and community groups across the globe as well as hosting a range of exclusive events for its members in the UK. Carwyn was a complex character who loved books more than he loved the oval ball says his official biographer Alun Gibbard. His talk in the front parlour of the Dylan thomas Birthlace will explore many facets of the man who caoched Llanelli and the British Lions to victory and about his tussles with the Welsh Rugny Union. The major event of Dylan Day featuring Dylan's life from Swansea to New York in words and music. 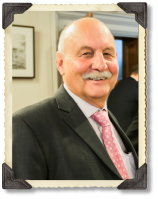 "I've taken over as chairman of the Society at an exciting time, as we begin to build on the legacy of the centenary celebrations of 2014. My vision for the Society is to restore its position as the pre-eminent source of information about Dylan, his life, his work and his family. The Society will be the first stop for those looking to discover, or indeed 're-discover' the 'man of words' Dylan Thomas.We are looking to forge relationships with other relevant bodies the world over. Already we have created strong links with the Thomas family, the Dylan Thomas Birthplace, the Swansea University sponsored International Dylan Thomas Prize for young authors and their DylanEd educational programme. In an ever changing world we must be ready to embrace new forms of communication and reach out to people all over the world. This journey will take many forms but what I can guarantee is that it will be a rewarding experience – join me, our members and enjoy." The centenary of my grandfather’s birth in 2014 was full of a myriad of different types of events, which explored his life and exhibited his work through different art forms. I can confidently say, after observing the passionate reactions to the celebrations, that my grandfather, all these years after his death, is still held in high esteem and continues to be one of the most popular poets in the English language. For me, I was particularly pleased to observe the positive responses audiences had to his work. For some, they were re-discovering my grandfather’s writing. Once again, the intense language was intoxicating them while, excitingly, it was also an opportunity for new generations to discover the magical wordplay for the very first time. 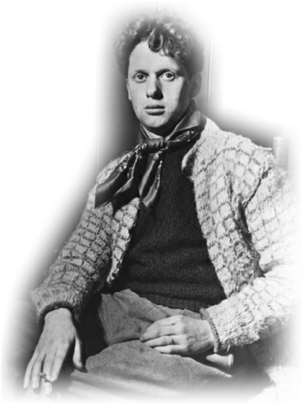 I hope that a legacy of last year’s anniversary is that the Dylan Thomas Society continues to be an active and thriving group, with members from across the globe. Admirers of my grandfather’s work can come together and share their love of his poetry and prose, whilst also examining the stories - of, which there are many- about his life and learn about the true man behind the myth. Copyright © 2018 Dylan Thomas Society. All rights reserved.